If you've ever seen an African Grey parrot, then you know that they are beautiful birds, but did you also know that they are capable of amassing vocabularies of up to 1000 words or more, and using the words that they learn to speak in context? To say that these birds are intelligent would be an understatement, and the best part is, that's not the only thing that makes the African Grey parrot so special. Read on to discover a few of the most interesting and exciting facts about African Grey parrots, including their origin, information on the various subspecies of African Grey, and more. Learning more about these incredible birds may inspire you to get involved with the species in a larger capacity, be it through adoption, research, or conservation. While all types of African Grey parrots look similar, there are actually two distinct types and a couple of lesser-known​ subspecies of this beloved bird. The most popular and common is the Congo African Grey. The Congo African Grey is the largest of the African Grey parrots, sporting a lighter gray color in its plumage, and a solid black beak. The second most common type is the Timneh African Grey, which was recognized as a species in and of itself in 2012. 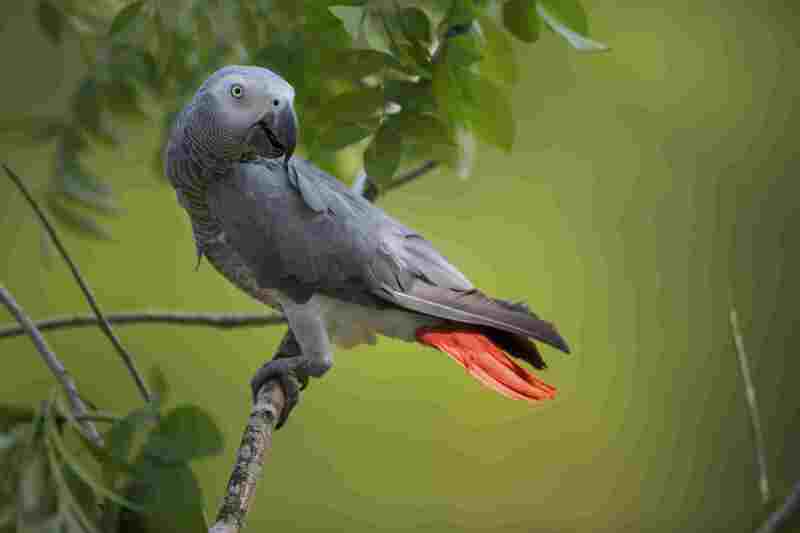 The Timneh African Grey is slightly smaller than the Congo, and its feathers are darker in color. Another defining characteristic of the Timneh Grey is that it has a horn-colored upper mandible instead of a black one. Despite their differences, both of these types of African Grey parrots make excellent pets, and both are equally intelligent. upper mandible instead of a black one. Despite their differences, both of these types of African Grey parrots make excellent pets, and both are equally intelligent. Besides being one of the most popular pet bird species, African Grey Parrots are also one of the most intelligent. In recent years, much research has been done on the mental capacity of African Grey parrots by scientists around the world. The most famous instance of this is the work that Dr. Irene Pepperberg conducted with her famous African Grey, Alex. Using Alex and other African Greys in research trials focusing on communication, she was able to show that not only can African Grey parrots learn an incredible amount of human words, they can learn to use them in context to communicate with their owners. It has been said that these impressive birds have the mental and emotional capacities of a 5-year-old human child. Because they are so intelligent, African Grey Parrots form very strong bonds with their owners and can be quite emotionally needy. Due to this trait, they do best with owners who can devote ample time to handling and socializing with them on a daily basis. In addition, African Grey parrots need a lot of exercise in order to keep their strong muscles toned and maintain an adequate physical condition. This means that they must be able to spend several hours per day outside of their cages, playing in supervised, "parrot proof" areas. African Grey parrots have been known to live for up to 80 years in captivity, so it's imperative that those who adopt them can commit to a lifetime of living with a bird. African Grey parrots are too emotionally sensitive to be able to handle being bounced from owner to owner, but sadly many of them do have several homes throughout their lifetimes because people rush into adopting them without fully thinking it through. You can help put an end to situations like these by helping to educate people about African Grey ownership, and by making sure that you set a good example for bird owners who might be interested in adopting such a parrot. Most people can relate to the difficulties of keeping a young child occupied, so it's not a stretch to say that keeping a highly intelligent bird from getting bored can be similar. African Grey parrots need plenty of mental stimulation in order to stay happy and healthy, so they must be provided with a variety of toys and other ways to exercise their minds. Otherwise, they can resort to destructive behavior and develop unpleasant habits that might require professional intervention.